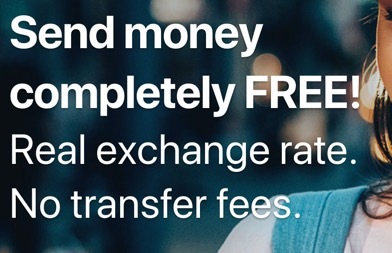 TransferGo, an international money transfer service based in London, has raised $17.5 million in a series B round of funding led by San Francisco VC firm Hard Yaka and Vostok Emerging Finance, with participation from Revo Capital, U-Start Club, and Practica Capital. Founded in 2012, TransferGo is one of a number of London-based fintech startups to raise VC cash for services that involve transferring money to individuals or businesses in other countries. WorldRemit has raised north of $230 million, including a $40 million tranche last year, while Azimo raised $20 million earlier this year. Elsewhere, TransferWise nabbed a whopping $280 million last November, taking its total funding past the $400 million mark. According to World Bank data, the remittance market — payments made by an individual working abroad to someone in their home country — grew 7 percent last year to $617 billion and are likely to grow a further 10.3 percent this year to around $690 billion. For now, you can only send money with TransferGo from European countries, but you can send that money to 47 markets around the world, including the U.S., China, and India. Indeed, India tops the remittance recipient market, accounting for some $80 billion this year. With a fresh $17.5 million in the bank, TransferGo said it plans to expand into more markets and develop new products. “We’ll use this funding to fuel our international expansion and increase market share — particularly across Turkey, India, Ukraine, and Russia — and continue to develop new products and services for our customers,” said TransferGo CEO and cofounder Daumantas Dvilinskas. Today’s news comes the same week as PayPal’s remittance service, Xoom, expanded beyond the U.S. for the first time. It now allows people in Canada to transfer money into more than 130 markets globally and is expected to launch in further markets in the coming months. The international money transfer market, it seems, is hot.